The management and employees of CapeRay are committed to provide world class quality products and services, at an economic cost, that will fully satisfy customer requirements. 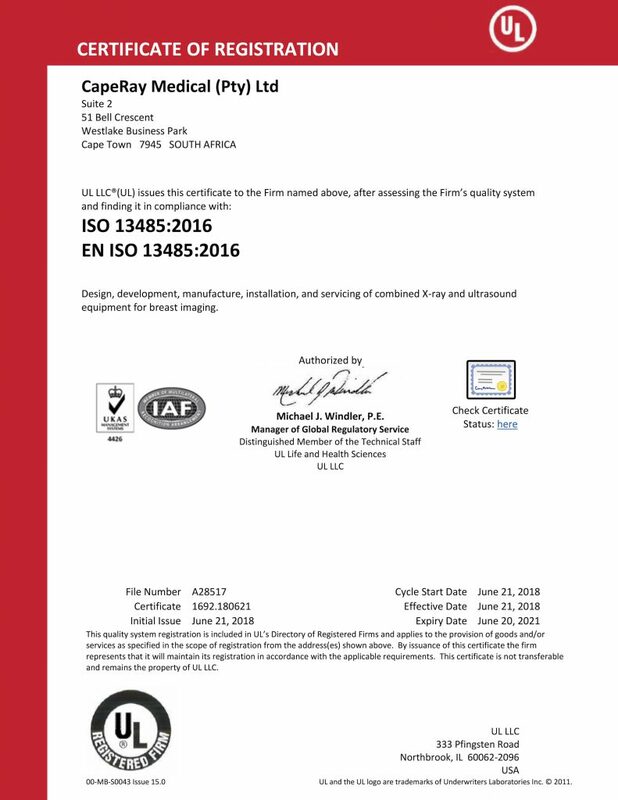 The policy of CapeRay in achieving its quality objectives is to utilise an effective Quality Management System specifically designed to recognize, control and monitor all processes that enable, influence and ensure the quality of the products and services. CapeRay is also committed to comply with all applicable legal (statutory and regulatory) requirements in all applicable jurisdictions. 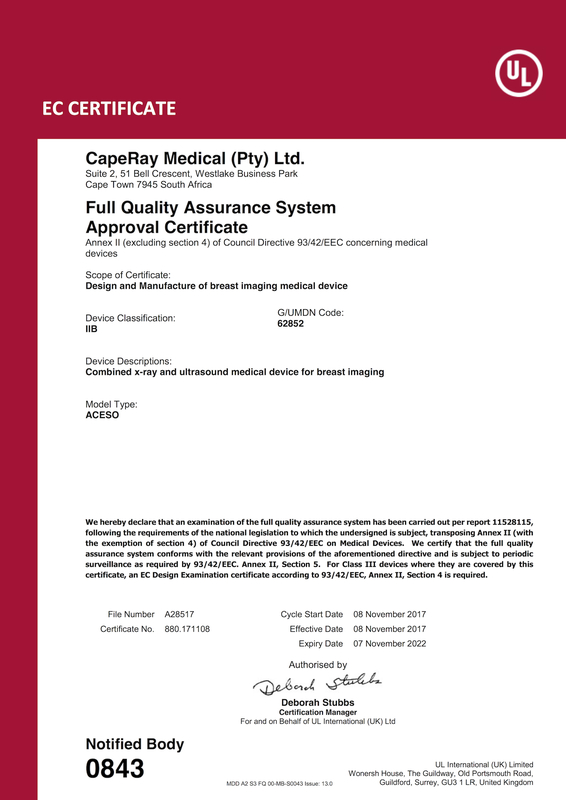 In June 2012, CapeRay received the ISO 13485 certification which has been renewed each year since then. Aceso has not yet been submitted to, or cleared by, the Food and Drug Administration (FDA) in the USA.